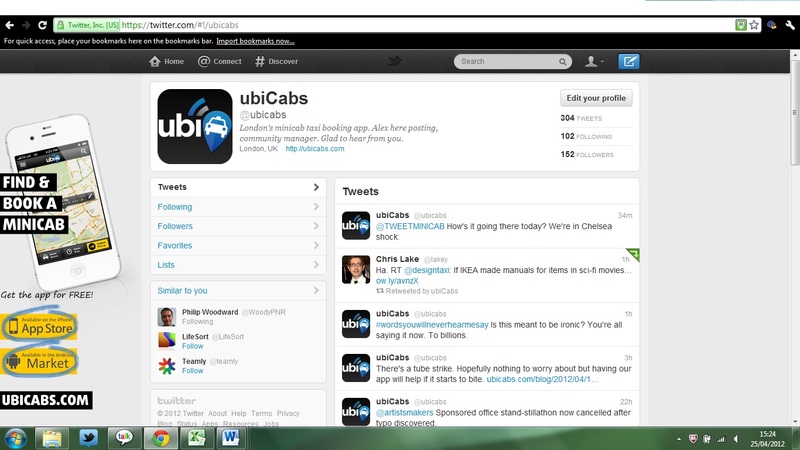 ubiCabs is tweeting, give us a follow and boss us about. What sort of tweeting is going to be right for us? You decide. Right then, let’s talk twitter. We’re thinking about it a lot at ubiCabs these days. Talking easily and directly to friends and customers is a big thing for us, a natural thing given how committed we are, specifically, to user experience. We’re also kind of keen to get our name out there. OK, very keen. Here’s the thing though, whilst there’s loads of stuff out there on bending twitter to your business’ will, there’s not so much on making sure that what you’re saying fits your community perfectly. And there wouldn’t be, of course, because there’s no one ring for ruling them all with this. Everything’s unique. Ultimately we know our twitter page, like everything else we do, will be shaped by what our users want, because that’s how we can perfect user experience. So get in early doors with us on this, and help us make it what you want. 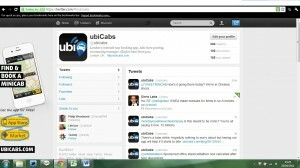 Tell us what you think of our tweets, our company, our apps, or just chat to us if you like the things we talk about. Here’s a link to ubiCabs’ page on twitter.